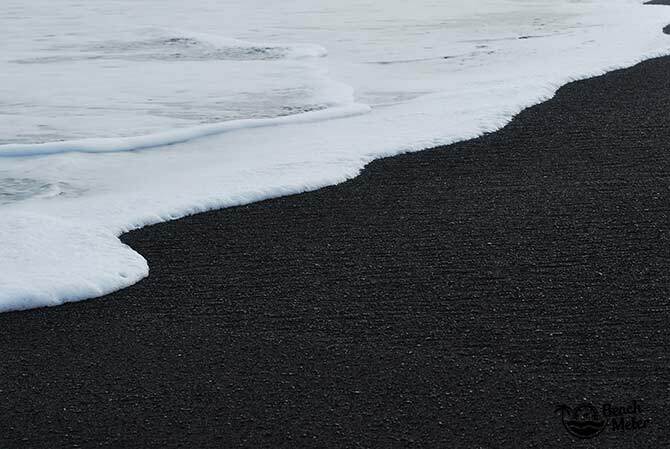 The contrast between the white foam of lapping waves on a black sand beach is something special. It’s almost as if the world has turned into an old black and white movie. The spectacle is slightly gloomy, but in a fascinating and mystical way. 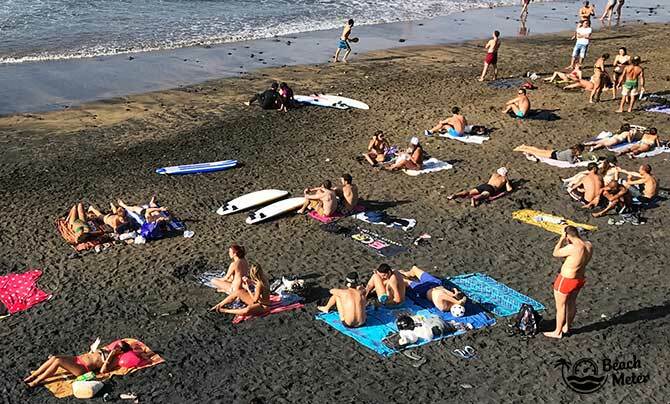 Why are some Beaches Black? 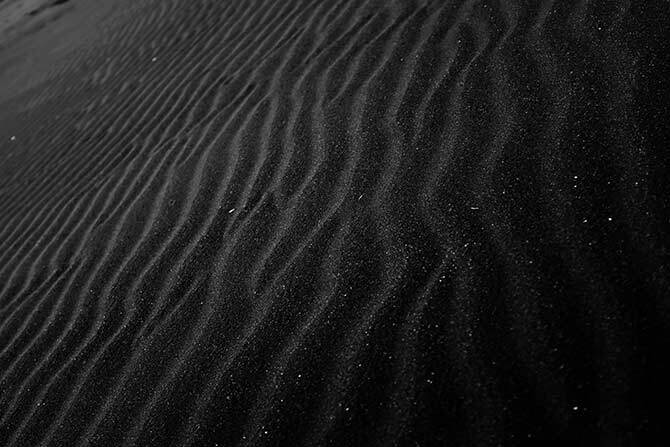 If you pick up a handful of sand, you will usually see a multitude of colors. 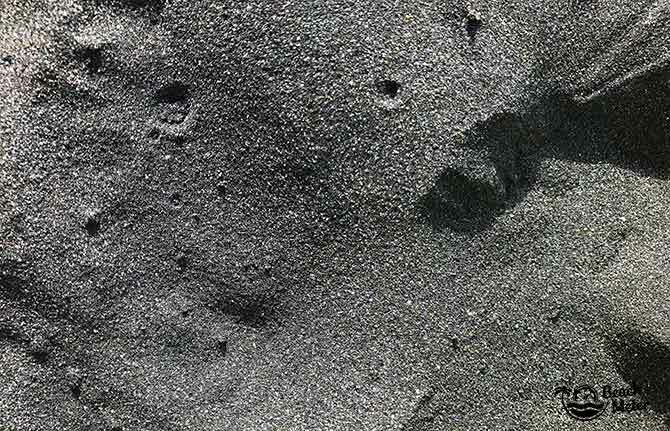 Even sand that appears white can have both green, dark, pink, and orange grains amongst it. 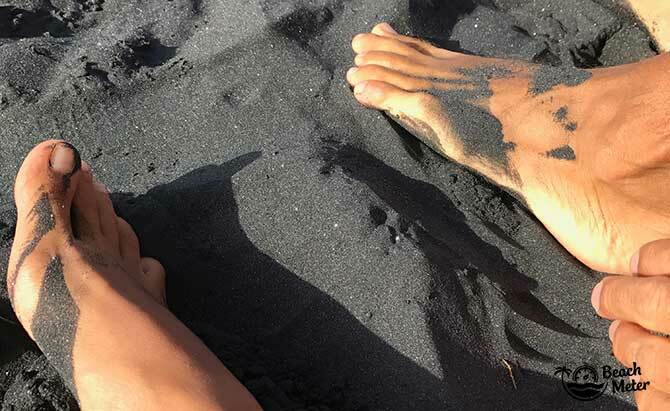 Black sand will most likely have a high concentration of black grains from either volcanic minerals or heavy minerals such as garnet, magnetite, and epidote. 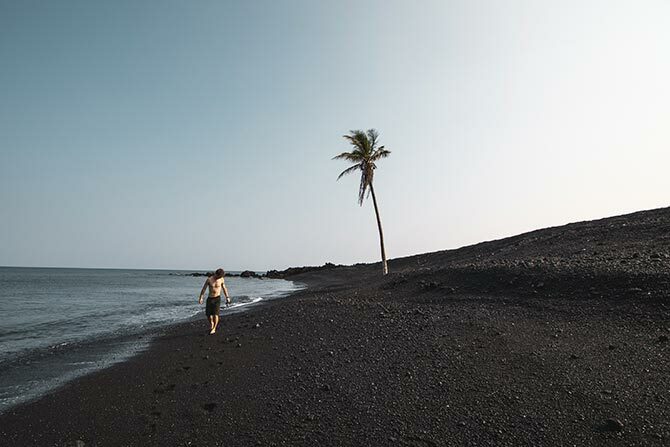 Black sand beaches are particularly common in areas near volcanoes such as Hawaii, Iceland, and the Canary Islands. 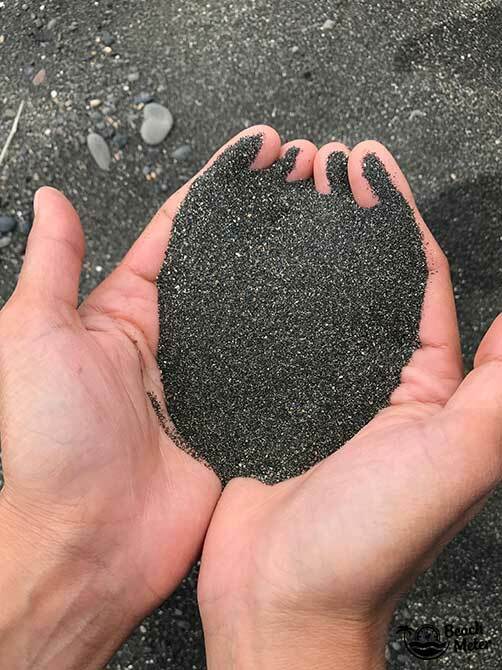 If you go to a black sand beach, be aware that the sand gets extra hot on sunny days, as the black color absorbs the heat. 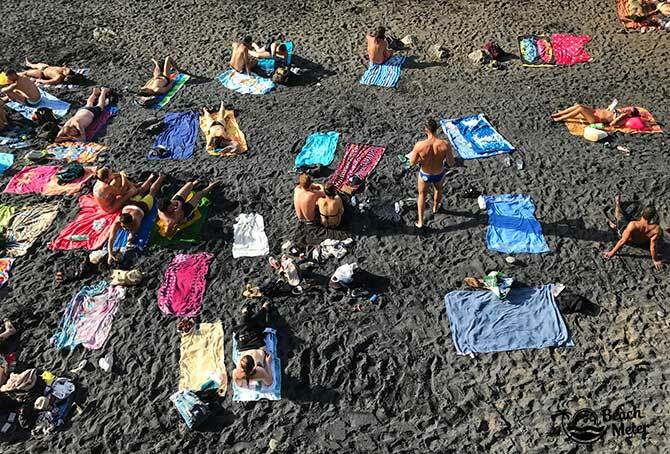 We hope you will enjoy this gallery of black sand beaches from around the world. 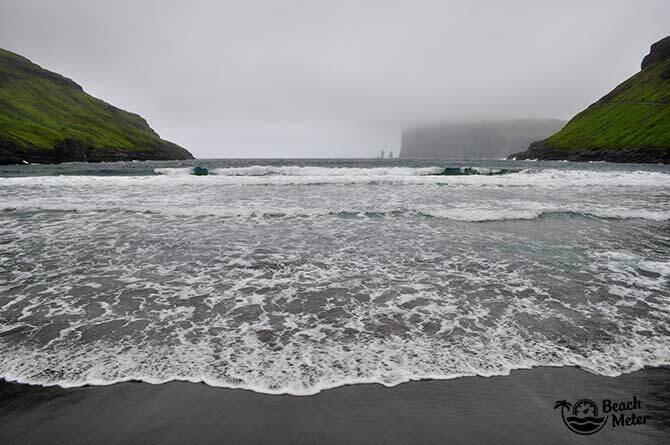 We have included images from Iceland, the Canary Islands, Bali, Hawaii, and New Zealand. 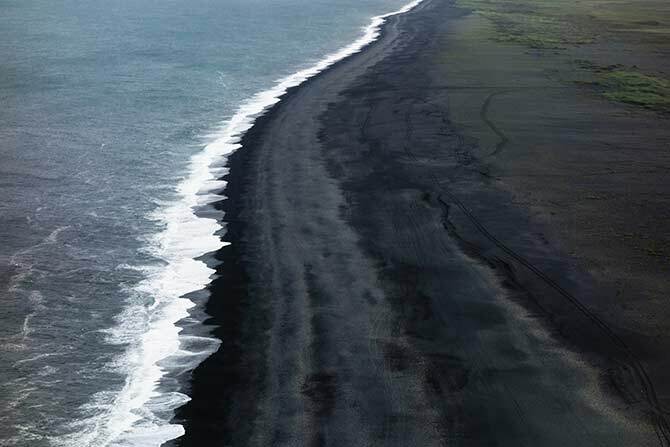 Black sand beaches are not as common as those with white or light brown sand. 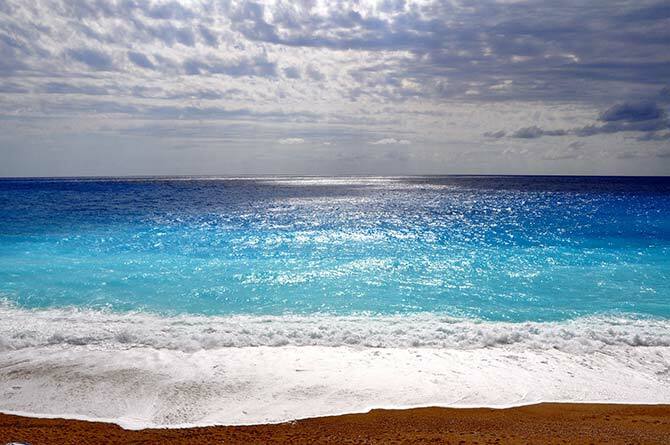 You will not get the stunning turquoise and clear blue water from these beaches, and conditions for activities such as snorkeling and diving will be less optimum because of lower visibility. Instead, however, you often get a more rugged and dramatic setting with contrasting white foamy water on beautiful dark sand. 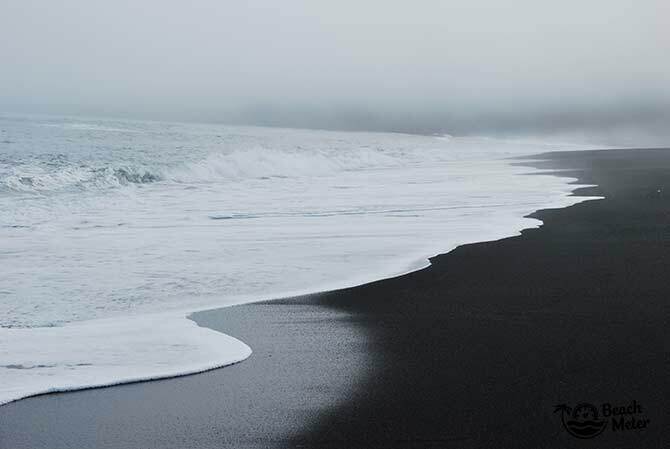 The images in this collage of black sand beaches have been provided by beachmeter.com and the following contributors (in no particular order): Naveen Raj Dhanapal (cover photo), Artem Bali, Alice Karolina Smith, Florian Zeh, Jeremy Bishop, Ian Stauffer, and Adrien Olichon provided by Unsplash, and Nikitabuida provided by Freepik. New Zealand has a thriving surf culture. The country’s diverse range of beautiful beaches attracts both tourists and locals who travel around the country in search of pumping waves. You never have to travel very far to spot a great surf beach in New Zealand. There are plenty of amazing places to surf in both the North Island and the South Island, which are suitable for varying levels of experience. Here are a few of the best surfing beaches you’ll find in New Zealand. Muriwai is a hugely popular surf spot in Auckland, especially in the summer months. The rugged coastline stretches a total of 60 kilometres, offering an abundance of peaks for surfers. On days of huge swell, Muriwai is best left to more experienced surfers. The location is also well known for its gannet colony, which is worth the trip in itself. Located just outside of Kaikoura in the South Island, Kahutara is a point break that produces great surf in most seasons except for summer. 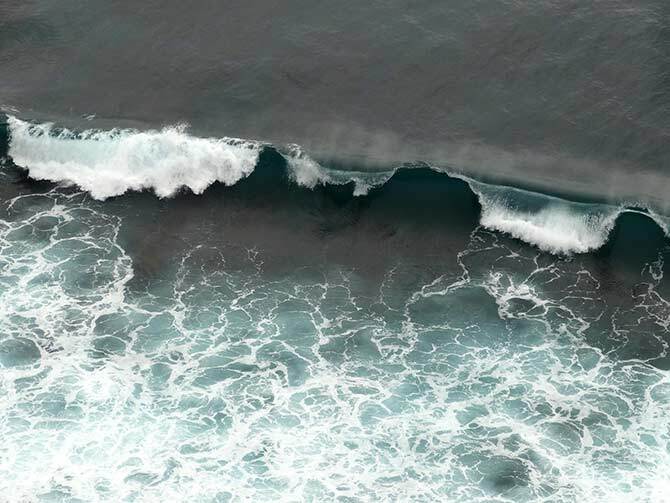 As the Hikurangi Trench is situated not too far offshore from the coast, the swells come straight out of the deep water, often producing hollow waves. Colac Bay is situated in the southern region of the South Island. The exposed beach break has perfect surf conditions almost all year round, but it’s best surfed with a northeasterly wind. The surf here is suitable for all abilities. St Clair beach is one of the most popular beaches in the South Island. It has good-quality beach breaks and frequently produces hollow waves. It’s also home to a great surf school. The best part is, it’s situated in the convenient location of Dunedin. If you’re in the South Island for a surf holiday, the best option is to hire a rental car upon your arrival at Queenstown airport. 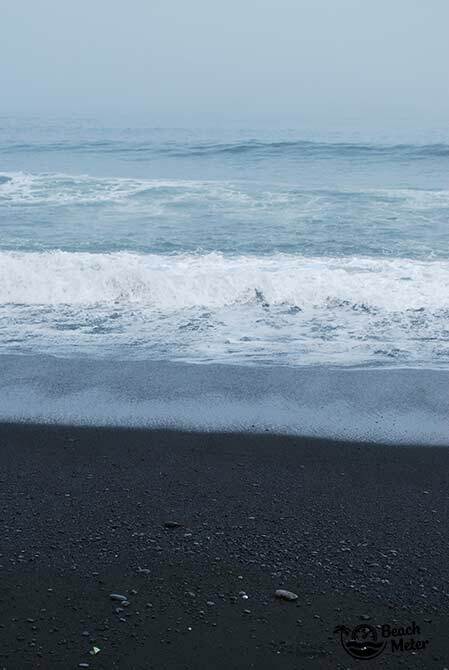 Piha has built a reputation as one of the best surf beaches in New Zealand. It’s not far from central Auckland, so it’s nice and easy to get to. 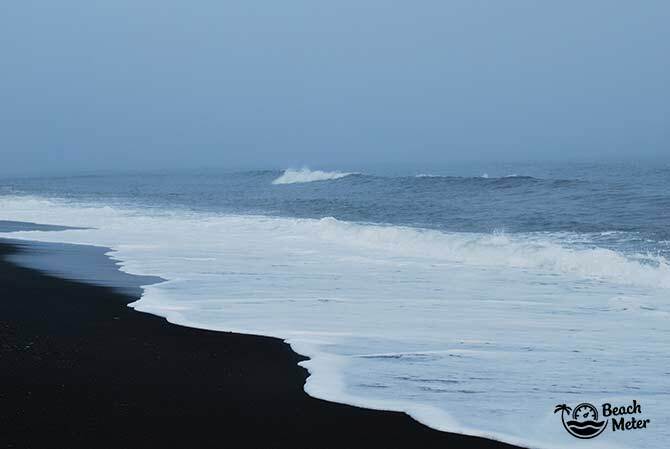 This black sand beach has consistently powerful breaks, making it a must for experienced surfers. As the rips can be pretty strong, beginners are usually advised to go out with an instructor. Manu Bay in Raglan has become a world-famous surfing area. It first gained international attention after being featured in the 1966 movie, “Endless Summer.” You’ll find some of the most consistent and most accessible left-hand breaks here. Perfect waves allow for some of the longest cruises you’ll ever experience, and are also a great environment to learn and train under expert guidance if you’ve never surfed before. Apart from surfing, Raglan also offers opportunities for kayaking, hiking, and caving – making it the perfect place for an extended holiday. 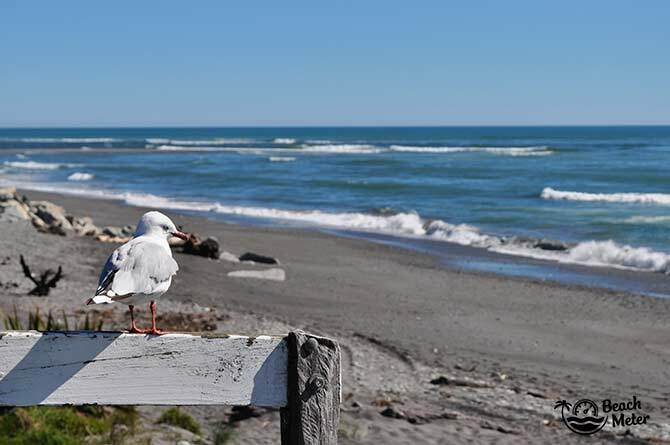 Te Arai Point is one of Auckland’s most beautiful beaches. Thanks to its consistent waves, the Point is a popular surf spot amongst locals. Along the beach, there are various peaks to choose from with both right and left-handers. This long stretch of beach is usually much less crowded than its neighbouring beaches like Pakiri and Mangawhai, so you can enjoy a peaceful surfing experience here. Shipwreck Bay is well known amongst NZ surfers for its long rides. You can almost guarantee excellent surf here on any given day. But on a really good day, you can sometimes enjoy a ride for as long as 3 minutes. Shipwreck Bay is located near the northern town of Ahipara, where there are a couple of great camping grounds, and some small B&Bs and budget lodges. The only thing Harper loves more than travel adventures is writing about them. In the past, she has collaborated with travel and hospitality sites such as Tanoa Dateline. Discover more of Harper’s work on Tumblr. Want to check out more surfing destinations? How about our Ghana beach guide presenting you with Ghana’s best surfing beaches. Stay tuned for more surfing guides. Mallorca is one of the most legendary sun, sea, and sand destinations in the world. Not only a Spanish favourite, Majorca has consistently been a top holiday destination for Europeans for more than five decades. The draw? Well, we think it’s related to the turquoise waters and the rugged beach coves. Clever huh!? While Mallorca has great options for shopping, eating, sleeping, cycling, and hiking, we will direct our focus on the beaches. Whether you want beaches with shower facilities, lifeguards, white sand, rocks, watersports, sunbeds, party vibes, shade, and/or goats (yes of course), Mallorca has it. What it doesn’t have is a beach for you and only you. The island’s beaches, coves, and bays have already been discovered long ago. Especially if you are visiting during the beach friendly months of May to October, the most accessible and impressive beaches will be rather packed with people. Don’t let that put you off; take in the lively scenes and enjoy it! This beach is not easy to get, unless you cheat and take a boat. Well, that’s okay too, but you would miss the feeling of accomplishment of getting there on foot. The hike to the beach takes around 45 minutes. The route is not always apparent, and it involves some zig-zagging down a slopy hillside and some crawling on the rocks before reaching there. The bay is stunning, especially as you approach it from afar. 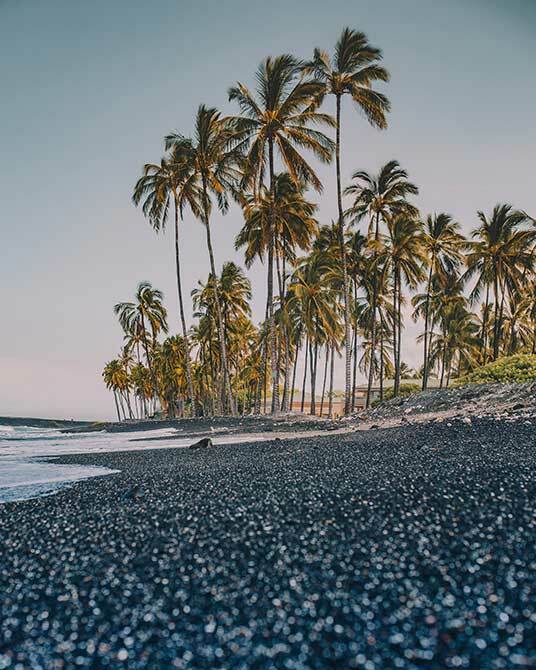 The beach mostly consists of dark pebbles that tend to get rather warm in the baking sun, so it’s not one of the most comfortable beaches to play around on. This beach is considered a “hidden beach” by locals, and you will find a lot less people here than most of Mallorca’s beaches. You may, however, find yourself in the company of a few goats. Deià is a charming village situated in the western end of the Tramuntana mountain range. From here there is a very steep and curvy dead end road down towards the shore. Despite not having a sandy beach, visitors flock to this rocky bay because of great snorkelling and an overdose of deep turquoise water. On top of that, Cala Deià has two restaurants offering spectacular views. If we were to chose a place for a romantic dinner, this would be it – although we wouldn’t recommend driving this road in the dark. The setting of this beach is absolutely magnificent. It is squeezed in between two parallel flanks of steep rocks, which gives you the feeling that you are swimming in a canyon river. There are large flat rocks at the shore, but otherwise the seabed is soft and sandy. A steep path from a rock plateau leads you down to the beach. 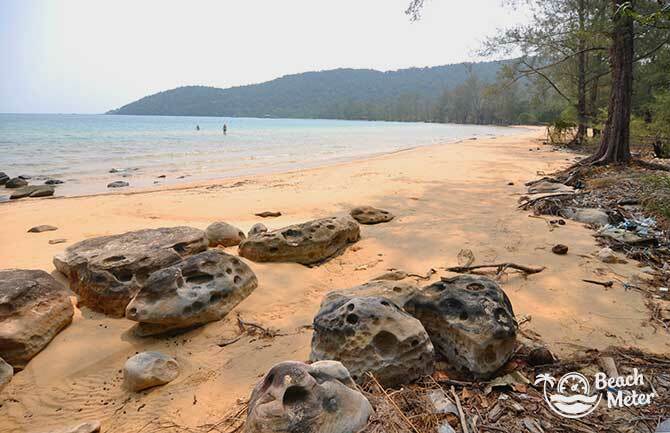 The beach itself is only around 40 meters wide and it has a backdrop of various rock formations. Getting to Caló des Moro is not so simple, but it is without question worth the effort. The area has a strict residents only car zone, so you have to park the car at a nearby parking lot and walk 20 minutes from there. 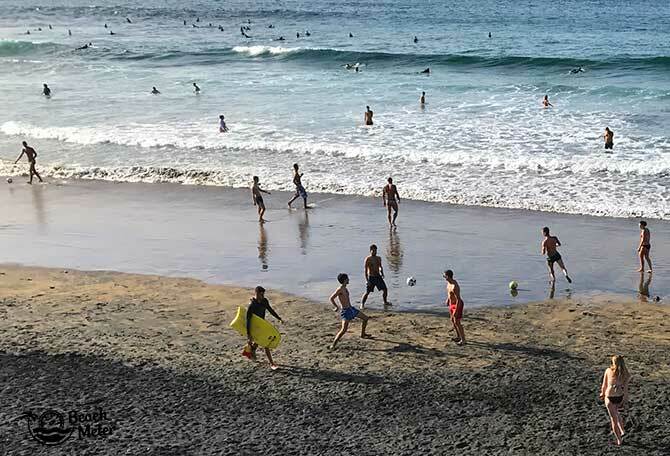 The crowds at the beach are predominantly locals, but the reputation of the spot has widely spread. 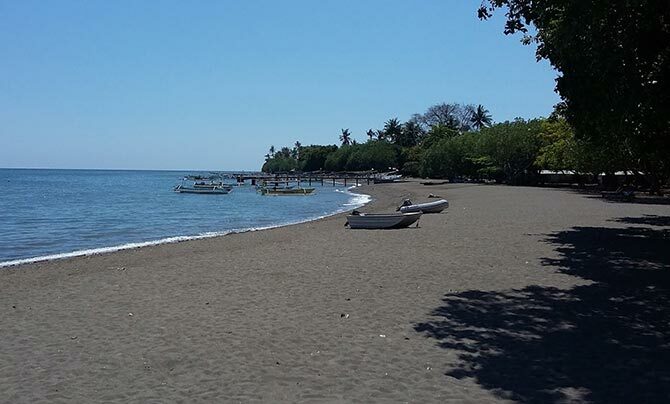 In the high season, we recommend that you come before 10 AM if you want to secure a good spot on the beach. On a windy day, you’ll be met with a colourful array of kites at Bahia de Pollensa. This is the kite surfing hub of the island, and you will find a handful of rental services along the beach. The beach itself is narrow and filled with seaweed. The seabed is also rather mushy which makes this beach less suitable for regular swimming and tanning. If you are here to kite surf, that is all the better, because you won’t have to navigate through crowds of people enjoying the sea. The depth of the sea stays shallow for a long stretch as you walk out, which makes it ideal for kite surfing. Windsurfing is also available here, but less practiced. On days with limited wind, you can rent a SUP board instead. Bahia de Pollensa is located in the northeastern corner of Mallorca, easily accessible by road. The road runs along the beach with ample parking opportunities on the opposite side of the beach. A short half hour drive south of Bahia de Pollensa, you will reach Playa de Muro. The beach stretches as far as the eye can see. The beach is separated into several sections, and a couple of these have either windsurfing, kitesurfing or SUP boarding courses and rentals. On top of that, the beach here is very nice with fine sand and a very child friendly shore. The first 50 meters out are shallow, so it’s a great place to let your kids play. Contrary to Bahia de Pollensa this beach has a lot of visitors and the hotels are lined up behind it. Speaking of family friendly, our top recommendation is Playa de Formentor. The road to there is a cozy forest road leading you through some nice pine forest. There is paid parking near the beach. A strip of pine forest along the beach provides plenty opportunities for shade. At the beach there are opportunities to get something to eat and facilities such as a beach shower and toilets. The water is crystal clear, and again you can walk far out from the beach with the water not reaching your belly button. Formentor is actually a bay, and it’s protectedness make the water very calm at most times. Behind the beach are the lush gardens of Formentor, a Royal Hideaway Hotel. This is a classic five-star resort with a rich history of accommodating celebreties such as Grace Kelly, Charlie Chaplin, and Winston Churchill. This is one of Mallorca’s most iconic hotels. Among the many superb beaches of Mallorca, selecting the best one is both challenging and dependent on what you are looking for in a beach experience. That still doesn’t stop us from selecting Cala Torta. Could this be the widest beach ever? A canyon full of fine sand for approximately 200 meters leads you down to the shoreline. So even though the beach can get crowded, there is always an opportunity to find an empty spot. 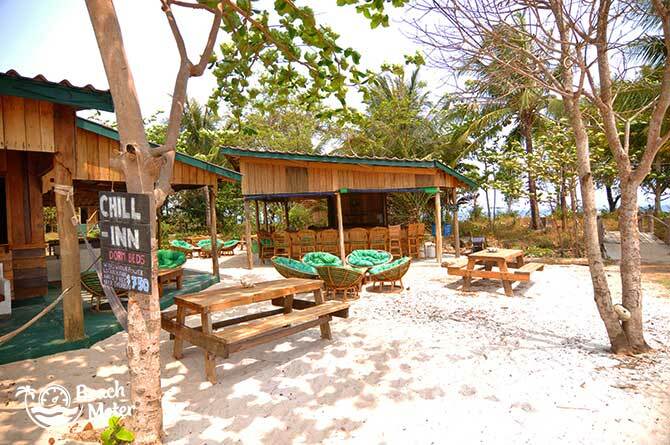 The beach is equipped with a beach bar serving food and drinks. During the high season there are lifeguards here, as the waters can get rowdy with strong currents and relatively big waves. If you like fighting waves this could be your favourite too. Getting to Cala Torta is a bit of an adventure, since the road leading to the beach is an ill-maintained gravel road. Perhaps this is why the beach, despite its popularity, is still not as crowded as some of Mallorca’s other popular beaches. There are plenty of good reviews of the beaches of Mallorca. Here is a list of resources that we think are useful and informative in case you want to research further. 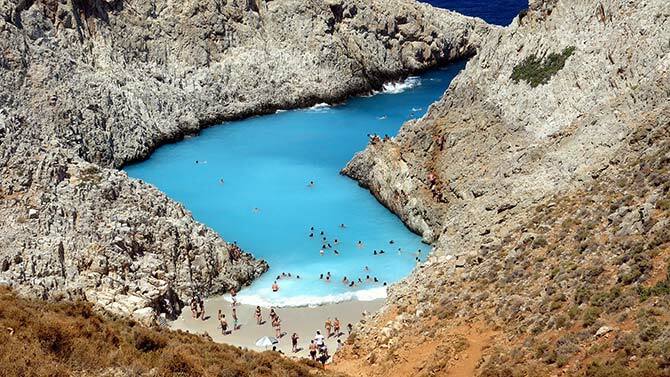 For more Mediterranean beaches, don’t forget to check our overview of the beaches of Crete Island in Greece. Guest post by Cal Bailey, Mountain Leon. Crete is the largest of the Greek islands. You can find it between the northern side of the Libyan Sea and the southern side of Aegean Sea. Crete has a coastline that stretches across more than a thousand kilometers (650 miles), along which there is an abundance of magnificent beaches. Crete’s beaches are world famous, so as you might expect the island can get pretty busy during peak season. Exploring the island’s beaches is almost a given if you visit, and as all are well looked after and clean, you’ll find surprisingly untarnished scenes: white sands, sparkling blue waters, impressive cliffs and forests. People travel great distances to appreciate the amazing beaches, the relaxed Greek lifestyle and the stunning scenery in and around the island. Matala beach is a firm favourite with those looking to indulge in the romantic side of life. That’s so easy here simply because it’s totally beautiful! 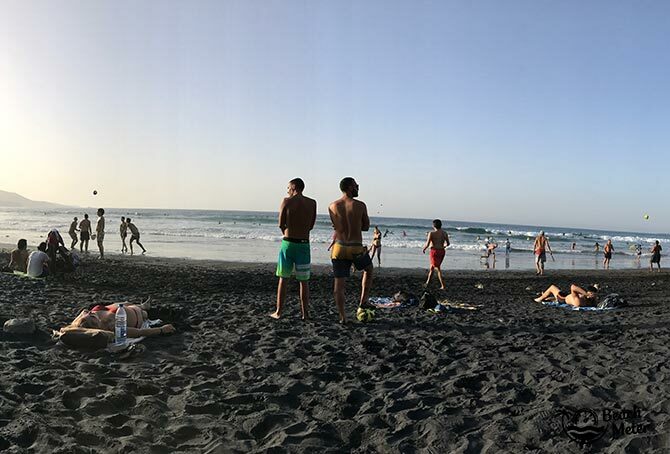 The beach does attract a lot of tourists because of this fact, but the atmosphere is great and you couldn’t get bored if you tried. Matala beach is lively and fun, and there is plenty to see and do. The views are gorgeous – especially if you go over the hill to the Red Beach, a stunning one-time hippie spot that has now been claimed by tourists. Elafonisi Beach is one of Crete’s most famous beaches. Not many beaches are dubbed ‘heaven on earth’, so the clue is in the name! Sands here are pinkish-white, soft as can be and lined with fragrant cedar trees. Elafonisi is incredibly beautiful and inviting, so you won’t be alone there – especially in peak season. It’s a well-organised beach with plenty of cantinas, snack bars, showers and changing rooms, and if you want to stay there overnight, you can camp. When you want shade, relax under an umbrella. Families particularly like this beach as the water reaches only 1 metre in height, so it’s safer for younger kids. Lifeguards patrol the beach regardless. If busy beaches aren’t your thing, consider the crystal blue waters and soft white sands of Istro beach. It is a very large beach, so there are plenty of sun-loungers and umbrellas waiting for those who want to spend their day lounging in front of the ocean with a good book. The atmosphere is truly peaceful, with everyone keeping themselves to themselves. There are private spots for when you wish to be (more or less) alone! When you’re hungry, pop over to one of the tavernas close by. You can sample some of the islands’ finest seafood and other tasty local dishes. Rodakino beach is located on the south side of Rethymno, and isn’t far from the village of Plakias, so it’s worth visiting both on the same day if you have time. Rodakino is a sizeable beach with sands and waters typical of this exceptional island. It has a decent number of sunbeds, if you want to recline in the sun. Although it is organized, it has also been left alone to a certain extent. You can expect a calm atmosphere here; there are likely to be families and couples making use of this partly secluded beach. If you want to stay nearby you can rent an apartment, and there are plenty of decent tavernas close by too. For some, a holiday wouldn’t be a holiday without a few watersports thrown in. Voulisma beach is as a good a beach as any for that. 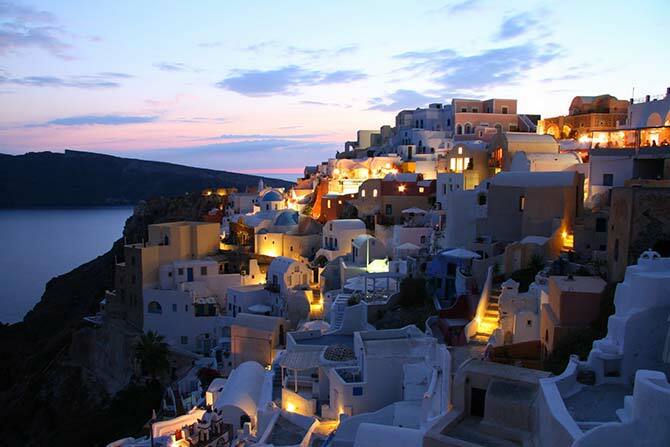 It has been affectionately nicknamed ‘golden beach’, which indicates its level of beauty. White sands and turquoise-blue waters combine to make the kind of postcard-worthy scene that inspires people to visit. Voulisma is a very carefully organised beach, so although it is busy, you should always find a sun lounger, and an umbrella when you need shade. Voulisma has ‘Blue Flag’ status, meaning that the sea is mostly calm. Water sports are one of the biggest draws of this beach, but it’s also great for just chilling out and taking in the sights. Falassarna Beach in Chania Town is the go-to beach for windsurf lovers, as it has a windsurfing station throughout the summer. Falassarna has a reputation for being one of the cleanest beaches in Greece; it was also awarded status as one of Crete’s best beaches and is considered to be one of Europe’s top ten. 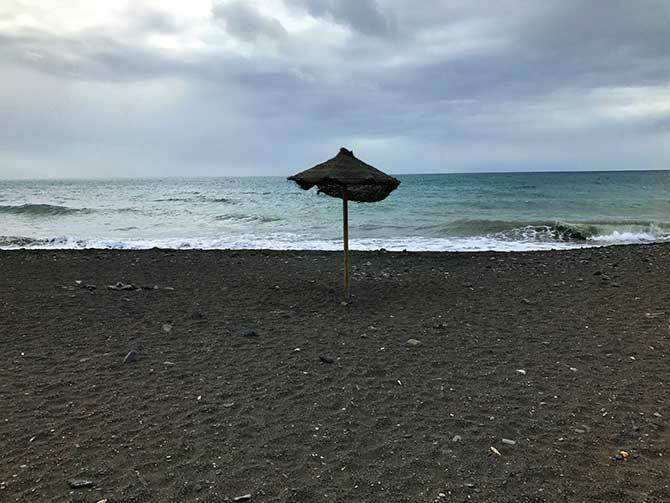 Families tend to like this beach as it has great facilities, several tavernas and places to stay close by, but it appeals to all kinds of people. It’s worth visiting just to see the old Roman ruins of the ancient city Falassarna. Glyka Nera means ‘sweet water’ and with its deep blue colour, you can see how it earned its name. There are many pebbles here, which makes it quite a striking sight; one of the most interesting features of Glyka Nera Beach is the water that bubbles up from the springs below the pebbles. The water is clean enough to drink… it’s cool, refreshing and natural. The beach is accessible only by boat, but it is well served by a tavern on a rock. You won’t need to buy water thanks to the abundant spring water, and the tamarisk trees around the beach provide plenty of shade. Don’t forget to check out the cave and its shrine, and bear in mind that there are no toilets anywhere here… there are plenty of naturists, however! Another Chania Town beach, Balos, is one of Crete’s most loved beaches. Looking down from the hilltops, it will seem that you’re beholding a beautiful blue lagoon. The waters here are shimmering and clear, warm and shallow; the sand is soft and white, with a pinkish tinge. During July and August it can get pretty crowded, so it may be smart to arrive in the morning before the boats roll in. Snorkeling is popular at Balos Beach, and you might even see monk seals and loggerhead turtles. Look out for the rocky island called Gramvoussa, which has a Venetian castle and excellent sea views. Whether you’re in Crete for the relaxation, the watersports or even the skinny-dipping opportunities, there is a beach for you. 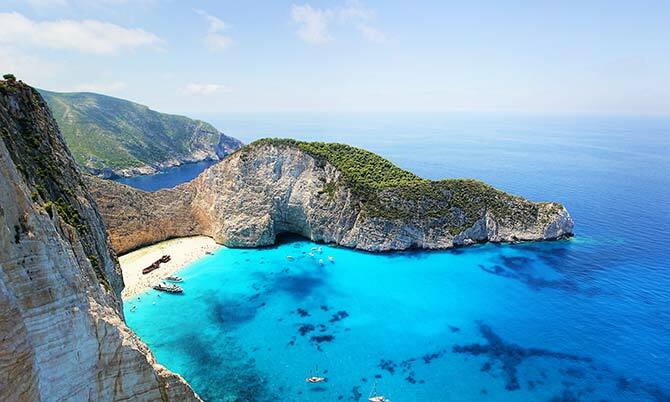 The entire island is beautiful, but we wouldn’t mind betting you’ll spend most of your time on these idyllic beaches! Cal Bailey runs Mountain Leon – a travel blog he started after two years of backpacking around the world. Don’t forget to check out his travel tales and tips on his website. Guest post by Ella Kim, trekbible. Myanmar, formerly called Burma, is often referred to as “The Golden Land” due to the thousands of gilded pagodas peppered throughout its landscape. The environment of Myanmar today is very similar to that of Thailand several decades ago, and this beautiful and quaint atmosphere draws an increasing number of tourists to the area each year. Myanmar residents are not only welcoming to tourists, they are also extremely helpful. They often take time out of their day to show visitors around their country and point out the best landmarks and attractions. Bagan is Myanmar’s most ancient city, boasting more than 3,100 temples dating back to the 1100s. With lovely gilded spires that span the horizon, the dreamy cityscape has the appearance of something one would see in a book of fairytales. However, despite its magnificent appearance, the center of Bagan feels more like a tranquil village than a city, and this is primarily because its temples usually outnumber its visitors. This gives it a refreshing, quaint feeling that is not found in most other areas of Asia. Food in Myanmar is inexpensive, delicious and plentiful. Many people have never had Burmese fare prior to visiting Myanmar, and subsequently find it unique and tasty. Dishes in Myanmar are derived from Chinese, Indian and Thai ingredients. The most frequently served dishes are Mohinga–orange fish sauce and rice noodles–Shan Noodles stir fried in bean and chicken sauce with peanuts and vegetables, and Onnokauswe–noodles cooked in coconut milk. Most menus also feature spicy soups and almost all dishes include curry in their ingredients. Thanks to its tropical climate, the country also boasts a vast array of fresh fruit for sale, and smoothies are offered in most restaurants. 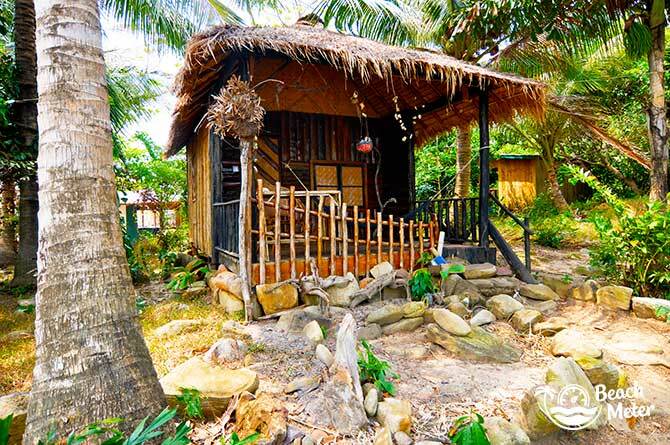 Accommodation in Myanmar can be found to suit virtually all budgets and lifestyles. Although the Myanmar Kyat is the preferred currency, most hotels and resorts also take the American dollar and the euro. Budget accommodation can be found for approximately $5-$40 per night, while mid-range hotels and resorts can be secured for anywhere from $40 to $120 per night. Luxury lodging is available for approximately $120-$400 per night. At the top end, visitors will discover true style and opulence, with beautifully appointed establishments that match any luxury hotel or resort around the world. The best months to travel to Myanmar are November, December, January and February. Like most areas of Southeast Asia, the dry season in Myanmar runs from late October to mid-May. The wet season is from the end of May until the beginning of October, when monsoons begin to blow from the southwest. May and June are extremely hot, and during these months temperatures often reach 40° Celsius (104° Fahrenheit). One of the most sacred sites among Myanmar Buddhists is the Shwedagon Paya. This 325 foot structure is adorned with thousands of precious gemstones, including diamonds, and features 27 metric tons of gold leaf. The Paya features four stairways leading to the temple’s main entrance and primary terrace. Those searching for tranquility should visit the temple at dawn, but its most spectacular backdrop appears in the evening, when the sun casts burnt orange, crimson and gold hues over the Paya in a spectacular display of color. 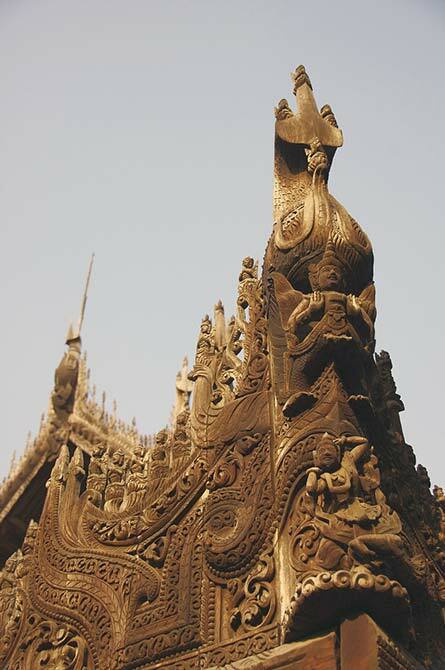 Mandalay Hill is a great attraction for anyone who enjoys walking or climbing. The hill itself is 760 feet tall and the path is covered with rustic stairways and offers visitors their choice of several routes to the top. However, the paths taken by tourists usually pass numerous pagodas and temples, where it may be necessary to go barefoot for several yards. These customs are sometimes not enforced, but visitors should keep them in mind when traveling to Mandalay Hill. The climb takes approximately half an hour, but many people choose to stop en route to view various sites along the summit. Another highly memorable attraction in Myanmar is the Bagaya Kyaung Monastery. This impressive structure is supported on 270 teak posts, with the largest of them boasting measurements of nine feet in circumference and 60 feet in height. This creates a dark, cool prayer hall through which there is a constant flow of visitors. Stained timbers within the structure are inscribed with lotus flower and peacock motifs. Despite its many visitors, it remains a functioning monastery and tourists will see monks on the premises at all times. Tourists are welcome, but are asked to be respectful to local patrons who are conducting prayers and the Bagaya Kyaung monks who live on site. 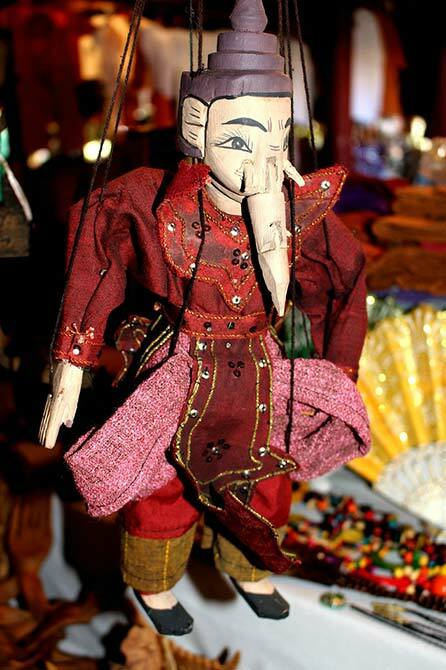 The Myanmar Marionettes Theater is a wonderful place for both adults and children, where internationally known puppeteers re-create tales of history and fantasy on a tiny stage with colorful marionettes. Visitors can also purchase puppets from the theater and the proceeds go to keeping the establishment open. Myanmar is a perfect vacation destination for anyone searching for a unique and interesting area of the world in which to spend time. Regardless of where one stays or which attractions he or she chooses to see, a visit to Myanmar will never be forgotten. Ella, Content Manager for trekbible, is a writer and content specialist with a predilection for learning and exploring new places and cultures around the world. With family scattered throughout the U.S. and South Korea, she loves to see cross-cultural influences around the world. Her favourite thing to do on her travels is to taste the local cuisine of each destination. Local residents and expatriates of M’Pay Bay Village have heard that one before. 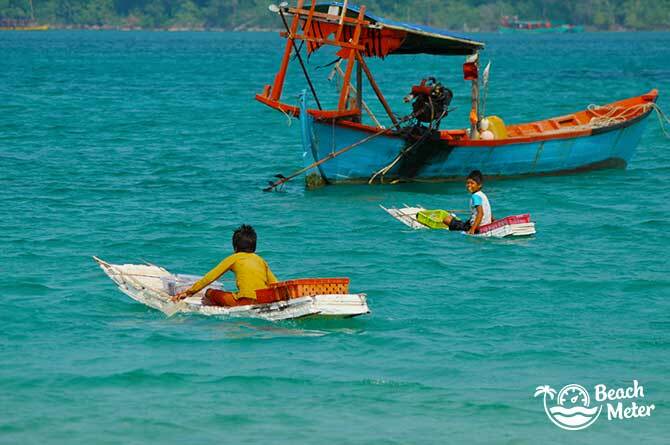 But what is it about Koh Rong Samloem’s M’Pay Bay Village that spellbinds visitors to change their travel plans and stay as long as their budget, tourist visa, or return flight will allow them to? Even though we were already madly in love with the west side of the island, we decided to head to the north-side of the island to investigate what the buzz is about. We heard good things about M’Pay Bay Village. A cosy little fisherman’s village with a pleasant atmosphere. When we decided to go there, it turned out to be less straightforward than expected. It seemed, no-one could give us exact information on how to get to this mythical village. “There is a hiking trail from Saracen Bay that will take you to the village – but bring a machete”. 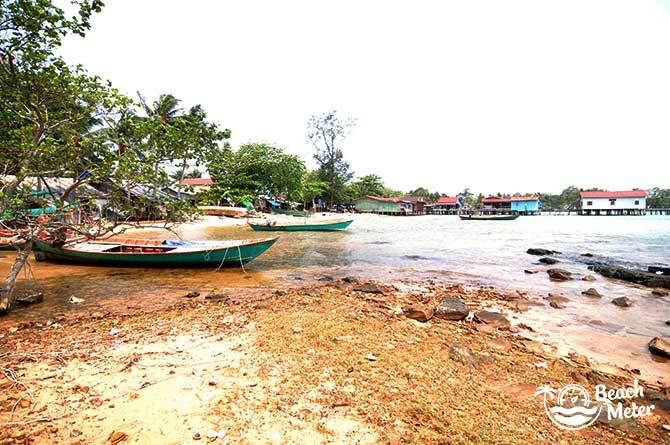 “Oh no, it’s not possible to hike through the jungle”, “take a boat to Ecosea & Bungalow Village Resort and ask a fisherman to take you from there to the village”, “no, you should catch the supply boat coming from Sihanoukville and hop off at the village, but it doesn’t always go”. In the end, the best advice we got was to go to White Orchid restaurant and ask the staff. 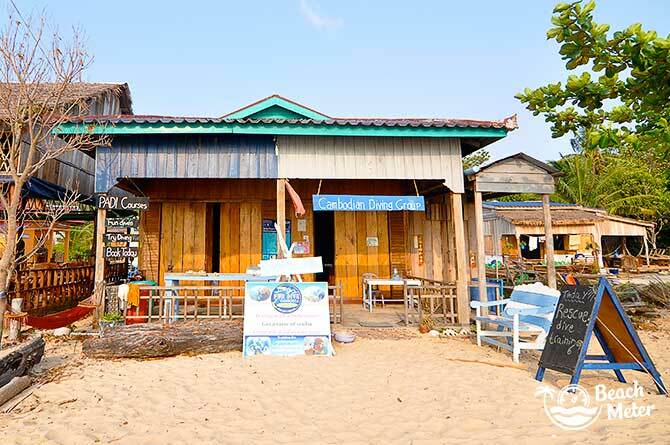 This restaurant seems to be a little transportation hub for the island of Koh Rong Samloem. We waited a couple hours on Saracen Bay which we spent exploring the long beach, and then hopped on the supply boat. Sailing counter clockwise around the island to the northside of the island, we arrived at the village pier. Quickly we began to understand the spell-binding charm of this village. The village pier where you get off has quirky wooden houses on stilts attached to it. As you continue onto the island, you step right onto the main road of the village. Who can resist a village where the main road looks like this! Small restaurants and new guesthouses and bungalow resorts are springing up in the village. Tourist numbers are low, but growing bit by bit. The establishments are partly owned by local entrepreneurs taking advantage of the new opportunities brought by tourism, and partly by foreigners who simply couldn’t bear to leave the village. Luckily, until now the accommodation has been kept low-key and simple, reflecting the life of a fisherman village. There are options for those who want a homestay type experience, where local families have cleared space in a few of their rooms to welcome visitors. The Drift has a welcoming hostel atmosphere with common sleeping areas and youthful vibes, while you can try to spend the night in a hammock at The Dragon Fly (mosquito nets included). Bungalow options have become rather numerous ranging from dirt-cheap to mid-range bliss. 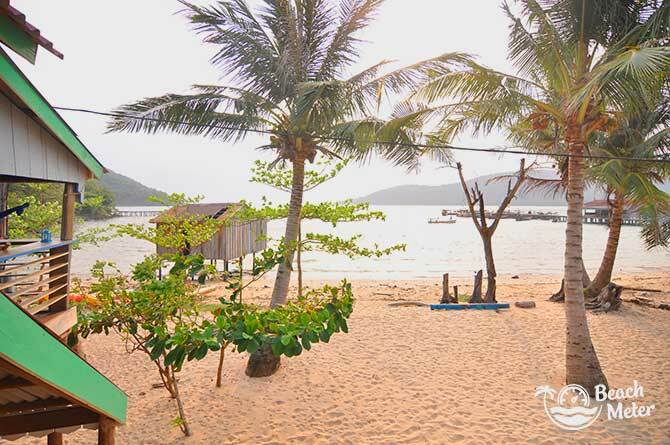 Those seeking a romantic hideout go to Sunset Bungalows located on a rocky peninsula with beautiful seaviews or Ecosea & Bungalow Village, situated a few hundred meters east of the village. The latter practically has its own private beach. Worth a mention is the absolutely charming Beach House (our favourite) with stunning architecture, great views from the hammock on the balcony, and high comfort. Restaurants – Khmer, Turkish, Western, or Japanese? In the village, there are both restaurants that serve Khmer and Southeast Asian classics, and the usual Western classics of burgers and pasta. Highly recommendable are two restaurants right on the pier: Babagannus serving Turkish delicacies and a local family-run restaurant serving a rich and varied buffet (book in advance). Plenty of fresh seafood and no shortages for vegans and vegetarians either. Here are a few images from in and around the village. On either side of the pier there is a beach. For taking a dip or swimming the best one is on your right hand side as you face the island coming from the village pier. 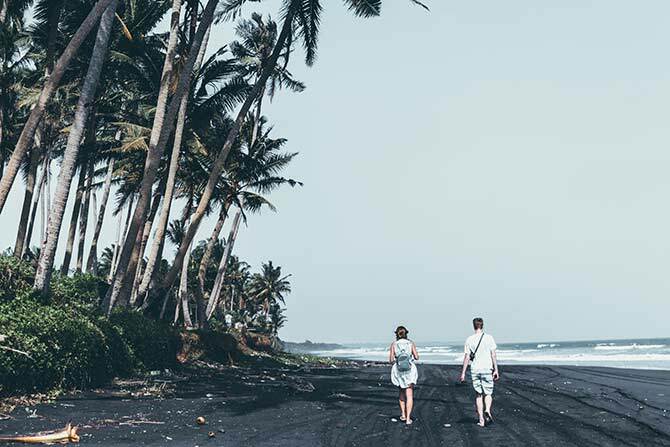 A good handful of small bungalow resorts and restaurants are situated along this side of the beach, and the sandy stretch is kept cleaner here by the accommodation providers. The sand is soft and no sharp rocks or corals lay on the seabed. There are basically no waves and the water is shallow for the first 30 meters heading out. As you approach the small peninsula on the left, the seabed becomes rocky and slightly more dangerous, as there are large sea urchins between the rocks. Heading in the opposite direction (south), you will pass fishermen’s boats and an area with some small boulders, before you reach the beach pictured in the last image above. The beach here has some sea debris, but is otherwise beautiful, and the water of the bay is usually calm. Apart from the rocky areas near the peninsula, there is not much going on in terms of snorkeling right off the beaches. However, we strongly recommend you to grab a kayak and snorkels, and head towards the small cone island, Koh Koun, right in front of M’Pay Bay Village. On the opposite side of the small island there is a stunning display of marine life and great visibility. Should you want to dive, the village has a dive center right on the beach. While you have a charming village, an impressive selection of food, and above average beaches, what really spellbinds people to this location is the laid back and jovial atmosphere. 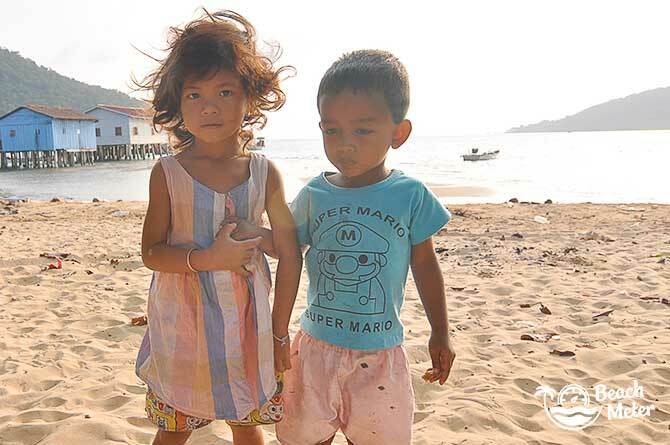 People from various places on the globe have been smitten by the village, and together they have built a thriving community that rubs off on anyone visiting this village on the northern side of Koh Rong Samloem. Can’t get enough of Cambodia? Don’t forget to further explore Cambodia on our dedicated Cambodia destination page. You can also ready about why Cambodia is Southeast Asia’s next big beach destination.